Foundation Celebrates Successful Dream Big 5K! The Dawn Brancheau Foundation Hosts the Fifth Annual “DREAM BIG 5K” at SeaWorld Orlando To benefit local children and animal charities across Central Florida! 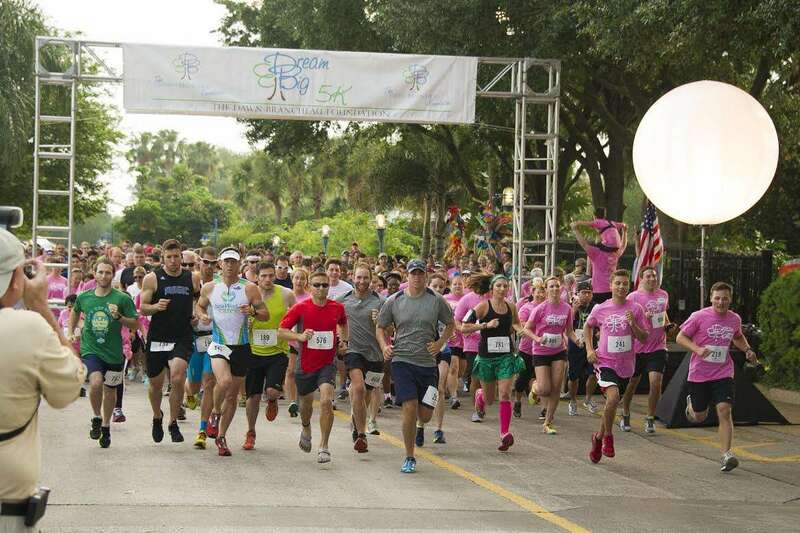 The Dawn Brancheau Foundation’s Fifth Annual Dream Big 5K was held Saturday morning at SeaWorld Orlando. All event proceeds will benefit community service projects positively impacting organizations in Central Florida. The Dream Big 5K is a scenic 3.1 mile fun run through SeaWorld Orlando. Dream Big 5K participants were encouraged to form teams and ask family, friends, and co-workers to join them. During the run, Dawn’s inspirational music from her personal iPod was played throughout the park. There was also a special route for a Family Fun Walk, where strollers/baby joggers were welcomed. The Dawn Brancheau Foundation is dedicated to improving the lives of children and animals in need, inspiring others to follow their dreams, and promoting the importance of community service. Immediately following the event, all participants were invited to join volunteers assembling “Family Food Bags” for the families serviced by Matthew’s Hope and “Doggie Treat Bags” for the dogs sheltered by Osceola County and Dolly’s Foundation. The Dawn Brancheau Foundation was formed in 2010 in memory of Dawn Brancheau, a truly inspirational woman. For more information about the Foundation or to donate, please visit DawnsFoundation.org. Previous Post Orlando Eye Lights Up I Drive!!! Next Post Universal Orlando Announces Special 25th Anniversary Concert Series!